-3 It's a damn mess but can't be helped. 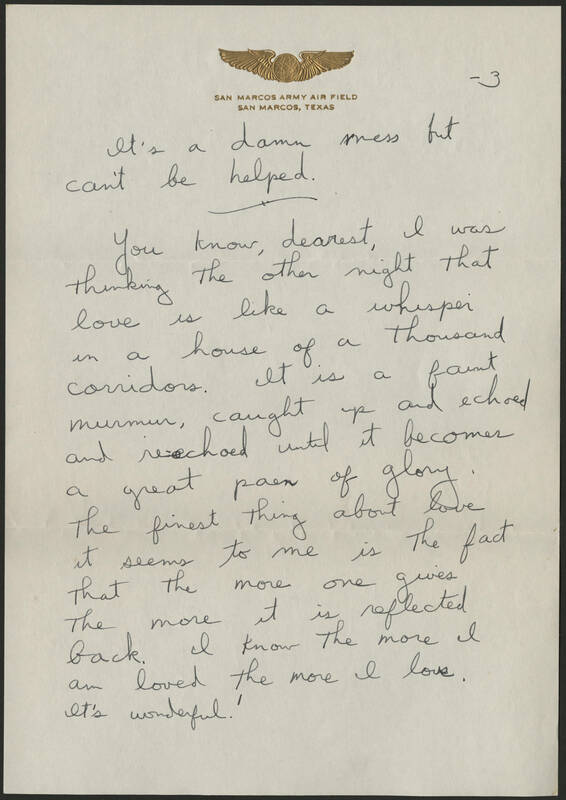 You know, dearest, I was thinking the other night that love is like a whisper in a house of a thousand corridors. It is a faint murmur, caught up and echoed and re-echoed until it becomes a great paen of glory. The finest thing about love it seems to me is the fact that the more one gives the more it is reflected back. I know the more I am loved the more I love. It's wonderful!